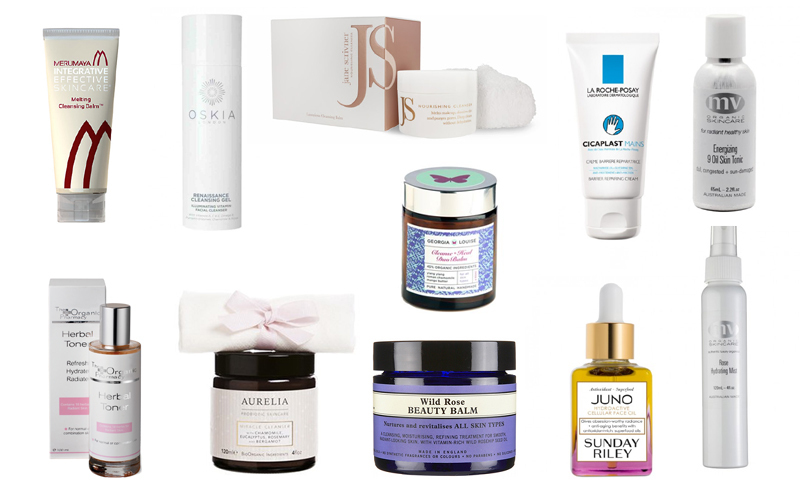 Merumaya Cleansing Balm // Oskia Renaissance Cleansing Gel // Jane Scrivner Nourishing Cleanser // La Roche-Posay Cicaplast Hands // MV Organic Rose Hydrating Mist // The Organic Pharmacy Herbal Toner // Aurelia Miracle Cleanser // Georgia Louise Cleanse And Heal Duo Balm //Neal's Yard Wild Rose Beauty Balm // Sunday Riley Juno Hydroactive Cellular Face Oil //MV Energizing 9-Oil Skin Tonic. I really want to try the Neal's Yard Beauty Balm too, I keep seeing such good reviews everywhere! I love the Merumaya range, it really surprised me!